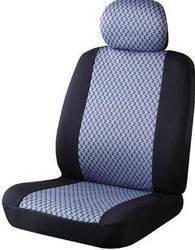 We are remarkable entity, engaged in offering superior quality Fabric Seat Covers. The seat covers are of very high quality and are with vibrant designs., Fabric designs shown above might vary depending upon availability. 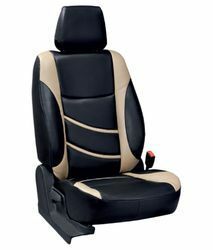 And available different types of seat covers like leather seat cover Italian color like gray, camel, black, etc. 100% polyester 3D air mesh fabric 1. composition: 100% polyester 2. weight: 140gsm-360gsm 3. width : 150cm-220cm 4. good quality 5 . timely shipment High elasticity, moisture permeability, air permeability, anti-bacteria, anti-fungus .wear-resistant, wash-resistant, meet international environmental requirements Use:mattress, bag, mattress cover, car seat covers. The most leading brands in the country is used by us to provide your cars with the best seat covers possible. We are the authorized company product direct dealers for elegant & auto form products. Quality- excellent cushioning and tensile strength. Polyster Seat Cover fabric in Camouflage pattern.